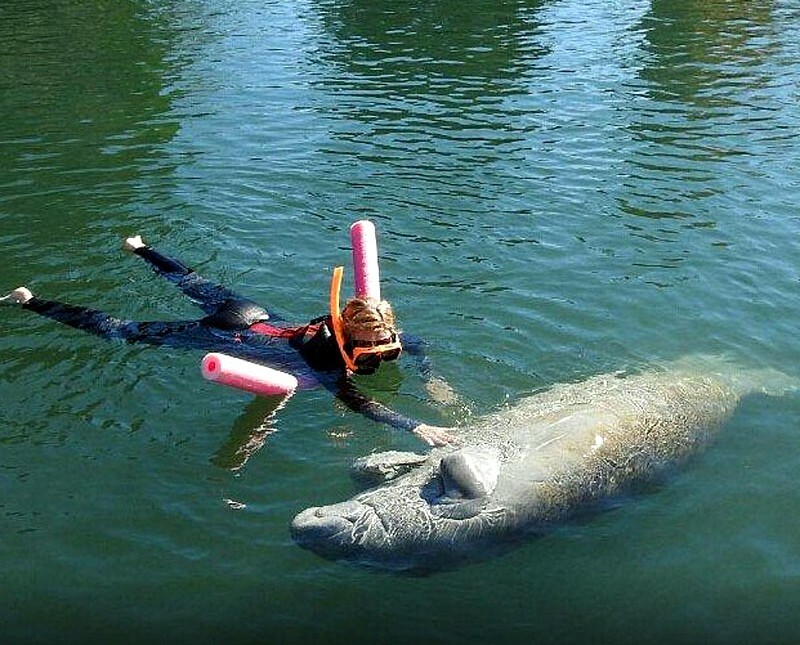 Swimming with Crystal River manatees is one of the most	exciting interactive live nature tour experiences in the State of Florida. 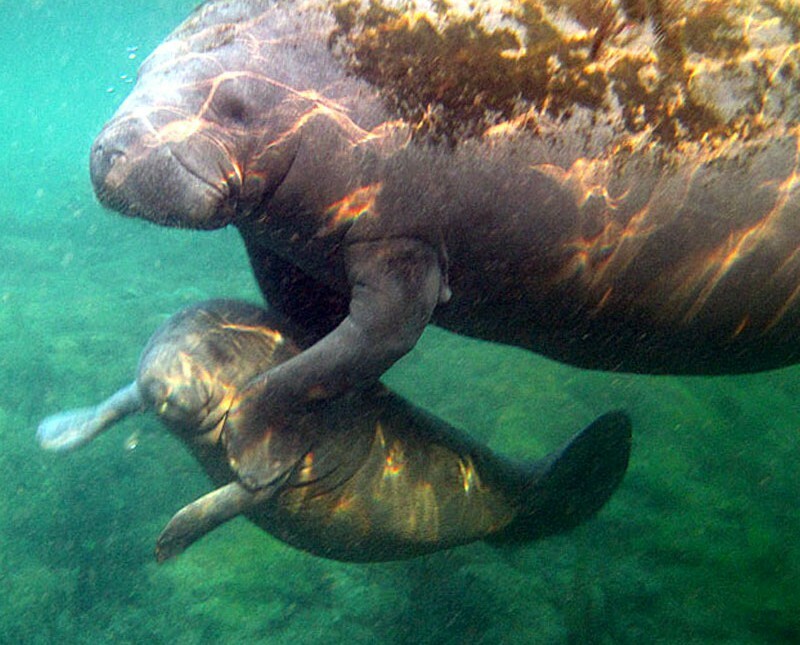 Florida's Crystal River is the home of a year long resident population of West Indian Manatees. In the winter months, their numbers swell as migrating manatees seek the warm protected waters of the river's numerous springs. Recent surveys indicate the winter manatee population to be about 600 individuals in an around the Crystal River and King's Bay area. Numerous charter boats and tour companies surround the area offering individualized and large group boating excursions. It is best to match your individual requirements with the offerings of each tour operator. Limiting your tour to no more than 6 persons will assure you will have the best experience and the most time interacting with the manatees. Tours average around $55 per person including the use of a wetsuit, snorkel. mask and a floating device. The West Indian manatee is an imperiled species and is protected by the laws of the state of Florida. Swimmers should avoid harassing or disturbing the manatees in any way that alters the animal's natural behavior. You should never pursue a manatee, act menacingly or attempt to poke, prod or stab a manatee. If a manatee approaches you, you may touch it lightly with one open hand. ever attempt to hold on to, capture or ride a manatee. Our manatee tours are captained by US Coast Guard Certified Captains. 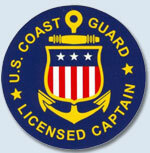 Certified captains are experienced well trained and tested individuals with nautical navigation and first aid training as well as ongoing background and random drug testing. 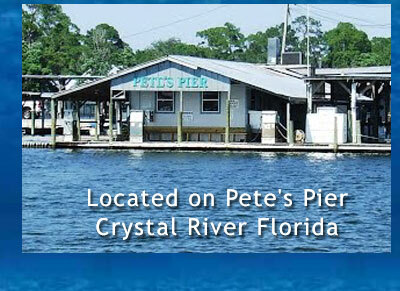 Our Crystal River Manatee tour is a three hour long boat trip around the beautiful Crystal River springs and Kings Bay. We have a private dock at our location so there is no shuttle required and our own personal parking lot for our customers. Our manatee adventure tour never has more than six people to a boat to ensure a quality personal experience. If a tour group is larger than six people we will take out another boat that will leave together and stay together the whole trip at no extra charge. When you arrive at the dock you will be greeted at the front door with a smile. We will sign you in so that you can immediately begin this amazing adventure. All members of your tour must first view the Manatee Manners video that goes over everything that you can and cannot do while swimming with the manatees. 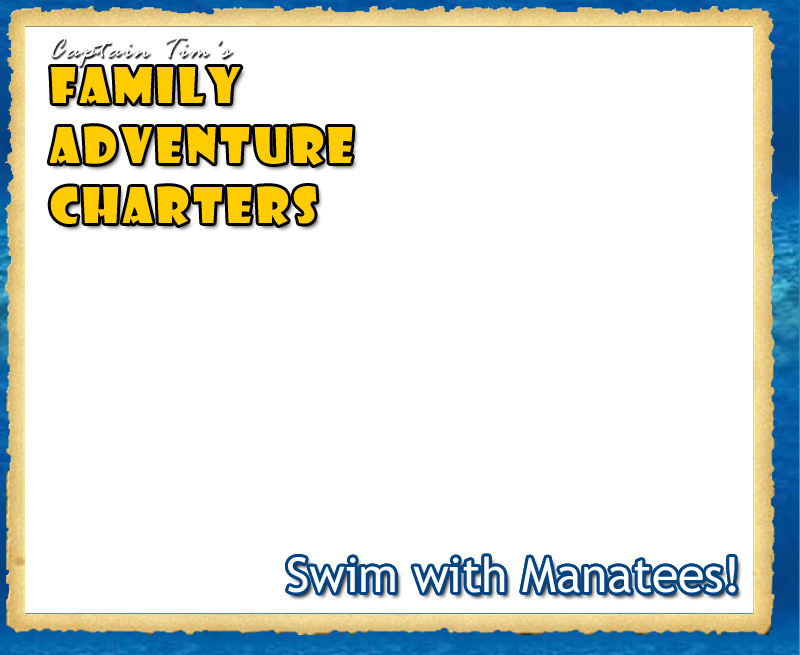 Captain Tim will go over some extra instructions so you understand the rules and to ensure you and the manatee's safety. Once everyone understands the rules, wet suits will be issued by the staff to ensure the correct size for each person in your party. 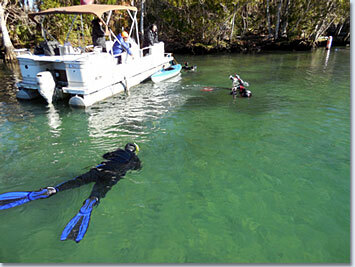 When everyone is in their wet suits you will be escorted to our private dock where you will meet your captain. Once on the boat your captain will go over the safety rules you need to know about the boat and how to use the equipment the correct way before getting in the water. The captain will start the tour in Kings Bay looking for manatees. As you ride along in the boat, you will be able to view the wide array of nature and wildlife such as osprey, blue herons, tri colored herons, and an occasional bald eagle. You may also see raccoons, wild pigs, turtles, many different types of fish and maybe blue crabs. When your captain finds a manatee, he will anchor the boat and allow you to slowly get in the water with them. Remember the more quite and still you are the better your chances of having a positive interaction with the manatee. The younger manatees are very curious and will approach you they may even give you a hug or even kisses! Manatees have algae on their backs and they love when you scratch it for them. We have what we consider to be the best, most knowledgeable and personable captains on the water. You will not find our captains with the “crowds” of tour companies. We limit ourselves to small groups so that each person on the boat will get the experience they deserve. 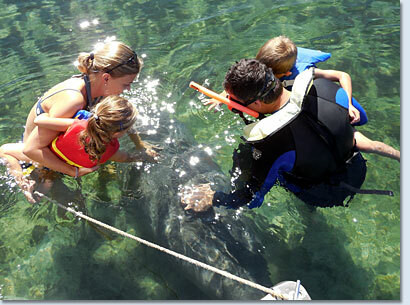 For visitors who want to see manatees but do not want to get in the water, we offer a dry tour. 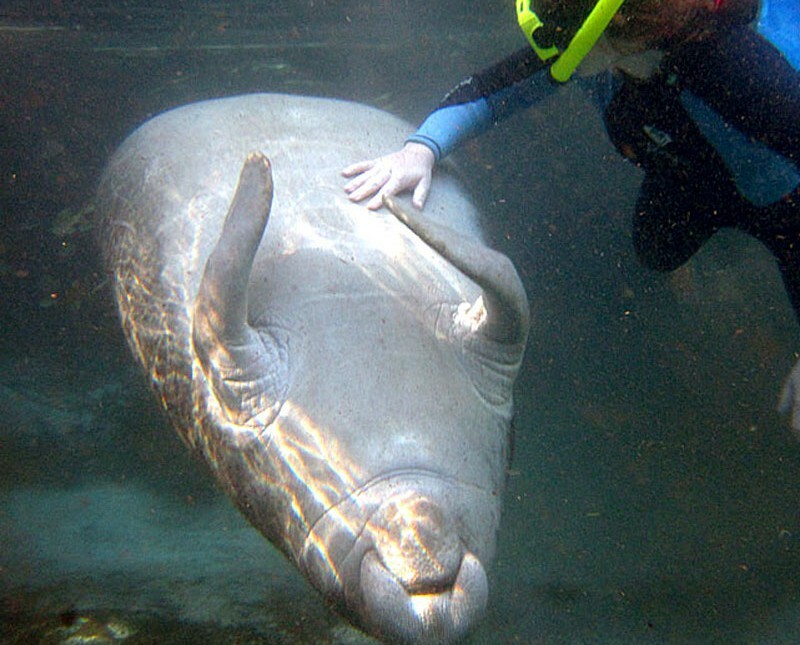 This tour allows you to view the manatees from the boat without having to get in the water. 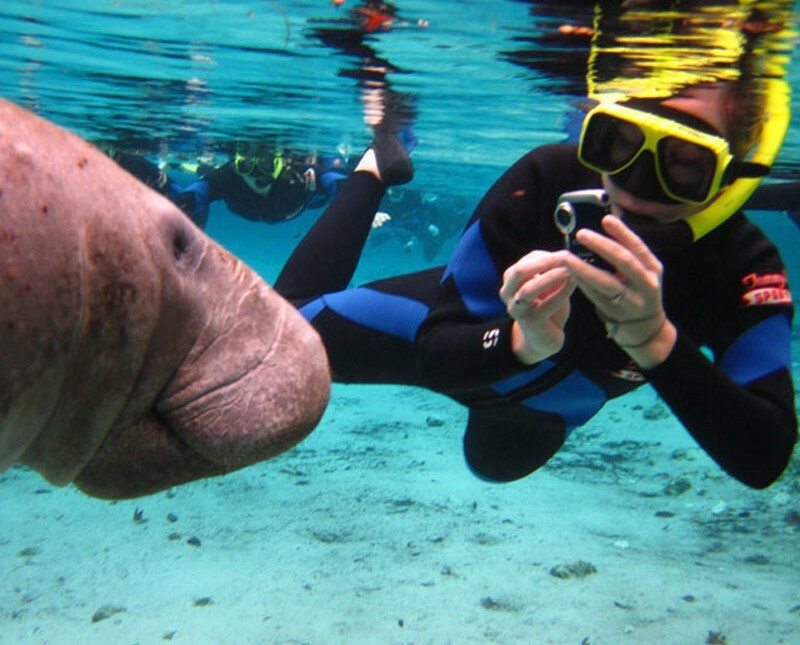 On these trips you not only see manatees but you will also see other types of wild life. Each trip is an hour and a half and costs $40.00 per person. We provide bottled water for everyone on the boat and allow small coolers if you wish to bring your own drinks or something to eat. You will see manatees plus beautiful bird life like osprey, herons, and egrets as well as dolphins and raccoons. You may also see turtles, apple snails, and blue crabs while we travel on by in the boat by the crystal clear waters. 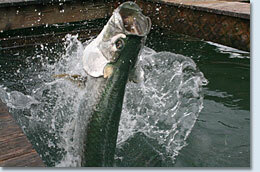 We also have large Tarpon that weigh up to 125 pounds that you can see and also hand feed right from the dock at Pete’s Pier. There are chances of seeing Deer and pigs up on some of the banks while passing by. We also have a family of bald eagles that fly around our area which is quite breathe taking to see. 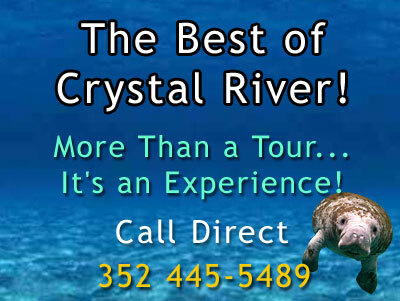 To book a Crystal River Manatee Tour, call us direct at 352 445-5489.